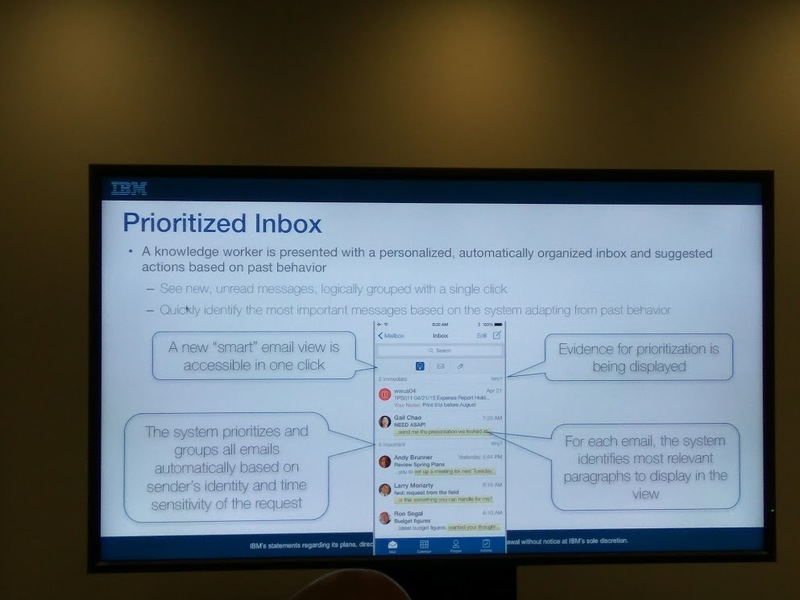 This morning i followed another great session from IBMer Barry Rosen. 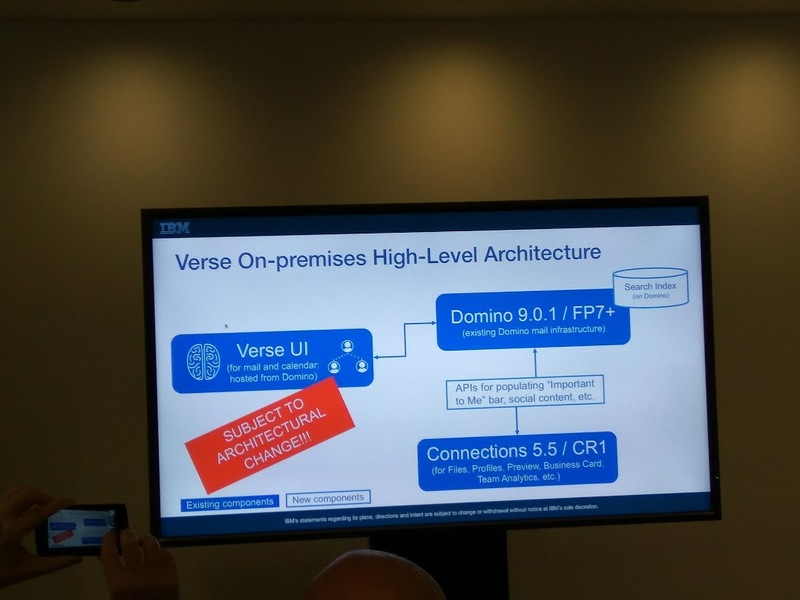 VOP will be available as zip file to download, and the setup will be very simple , so you will have to copy someting over domino file system and start it ! Obviously some configuration to the IBM Connections parts involved should be done to inside some properties. VOP is thinked to be easy to setup and mantain .. can't wait to see it live! 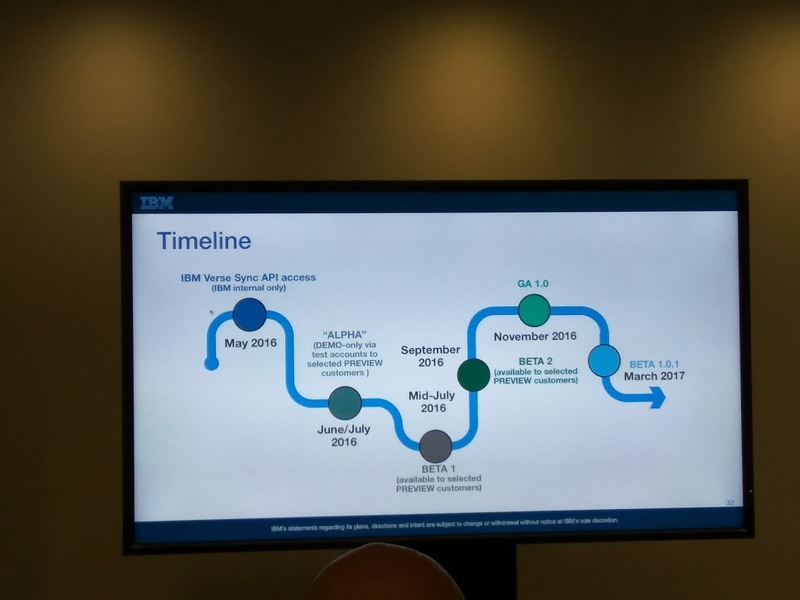 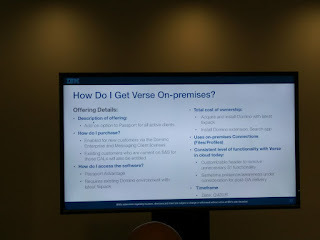 To have a complete Verse experience, you will have to integrate VOP to your IBM Connections environment or if do not have one, IBM will provide free entitlement for IBM Connections profiles, files, and Docks viewer. Last thing the VOP search will use on Domino engine and not solr like cloud version did.